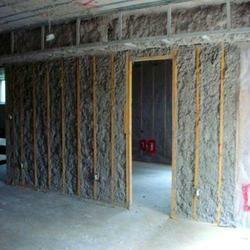 We are leading service provider of aAcoustic Insulation Services. We offer Acoustic Insulation Services to our valuable clients. These are widely used to reduce noise through the walls applied in various industries. These insulation are available in sound absorbent insulation material such as fiberglass, and acoustic boards which is taken care by our strict professionals. Advanced techniques and methods in coordination with all team members are used to render these services.